In this book, the optimal design of two types of experiments with a restricted randomization has received elaborate attention. In the Chapters 4 and 5, we have concentrated on the design of blocked experiments. 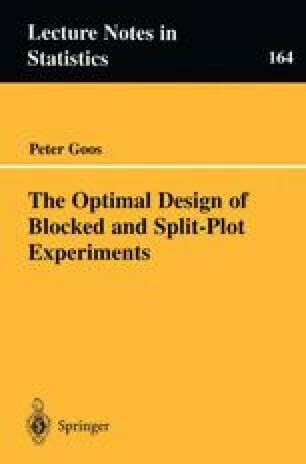 In the Chapters 6, 7 and 8, the focus was on split-plot experiments. In Chapter 9, the use of two-level factorial and fractional factorial designs in blocked and split-plot experiments was discussed.